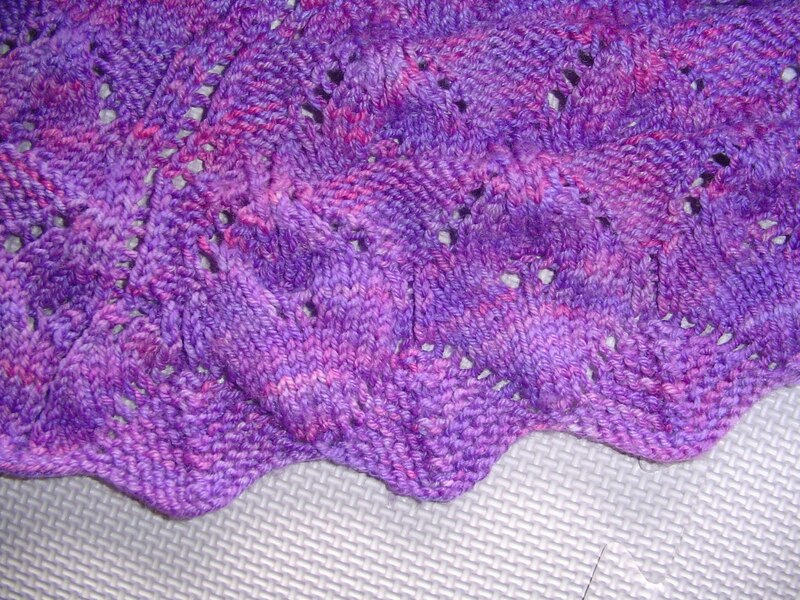 I recently did a bottom up shawl and I loved it. There are so many great scalloped edges that work bottom up, I have a million new ideas for designs. I was also amazed by the psychological effect of rows that get shorter. It makes no difference to the overall amount of knitting however the construction means that on every right side row 4 stitches are decreased. That means that the rows get shorter and shorter, so the knitting of each gets quicker. Somehow my brain is completely fooled by this. I have a circular shawl design in its beginning stages and I've been procrastinating on it because of the way the work gets slower and slower as you move out from the center. 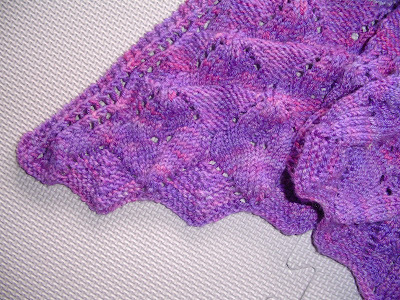 The main disadvantage to bottom up compared to top down is that top down allows you to use up all of your yarn if the stitch pattern is one that accommodates extra rows easily. If you are knitting from a pattern that does not really matter as the designer has already worked out the yardage required. I have this design on the go, the photos show it unblocked so it is not yet looking it's best. The yarn is Painted Fleece in the colourway Willy Wonka. It's on the blocking board as I'm writing this. I'm just at the stage of rechecking my charts and then off to editing and photography. I'll let you know when the pattern goes up on Patternfish. Somehow it's the casting on a zillion stitches in lace wt that I hate. Once it gets faster that does compensate a bit, I think.